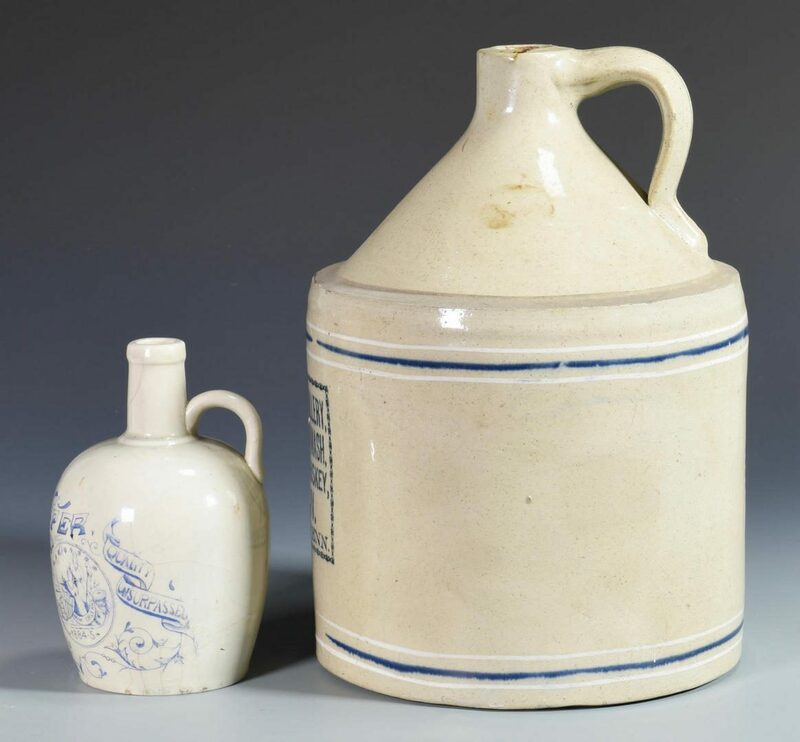 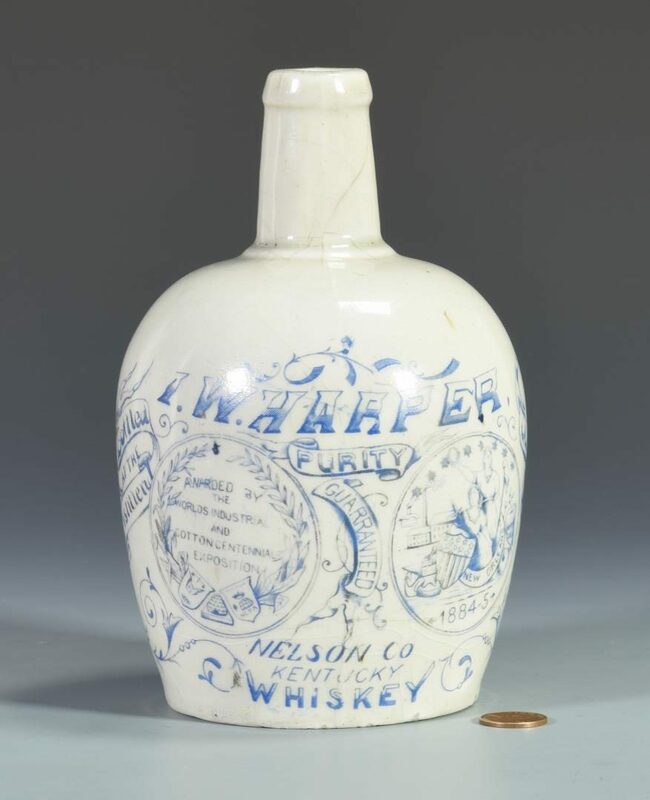 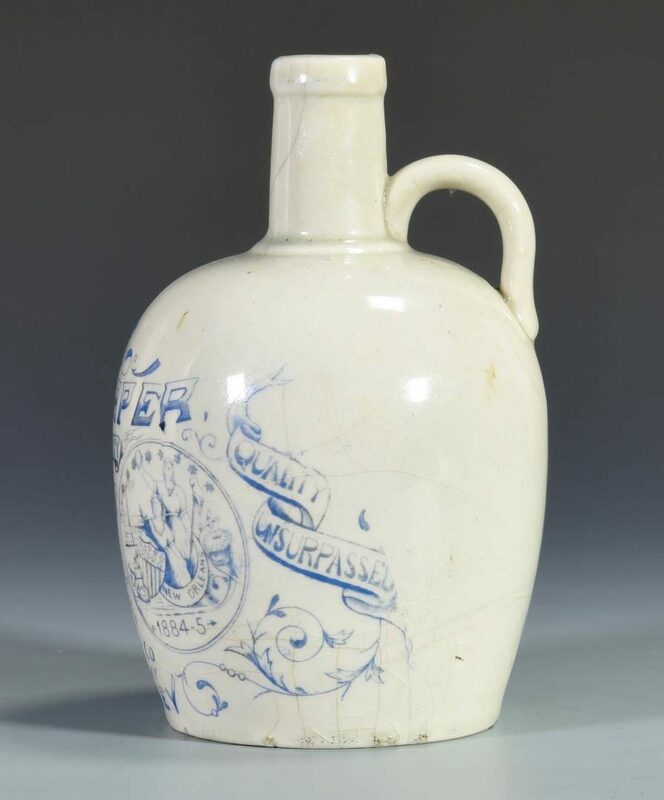 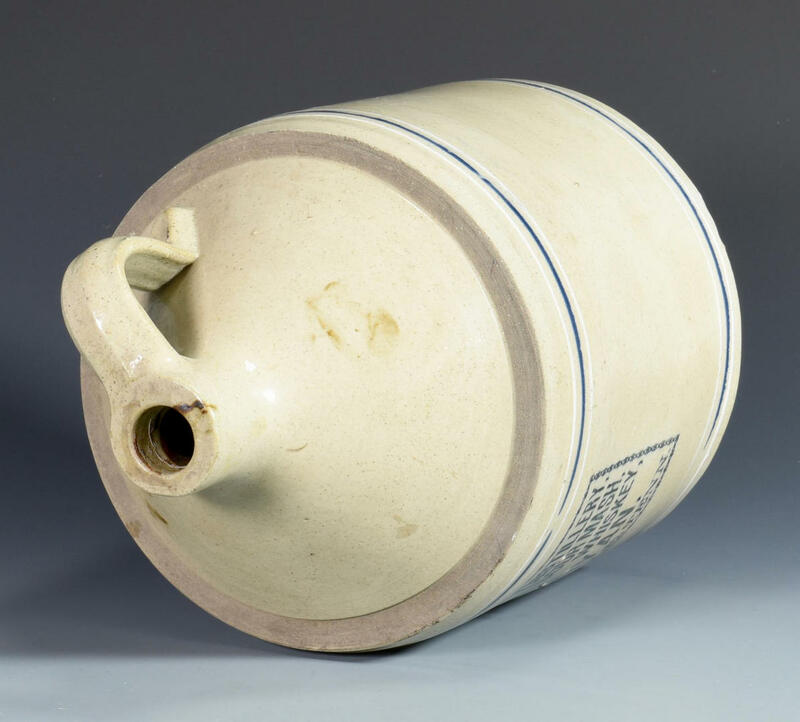 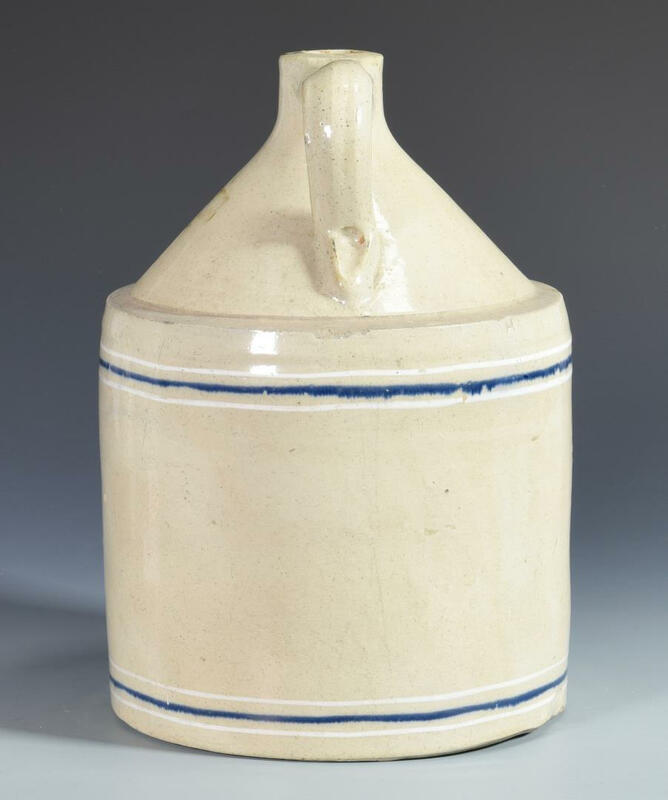 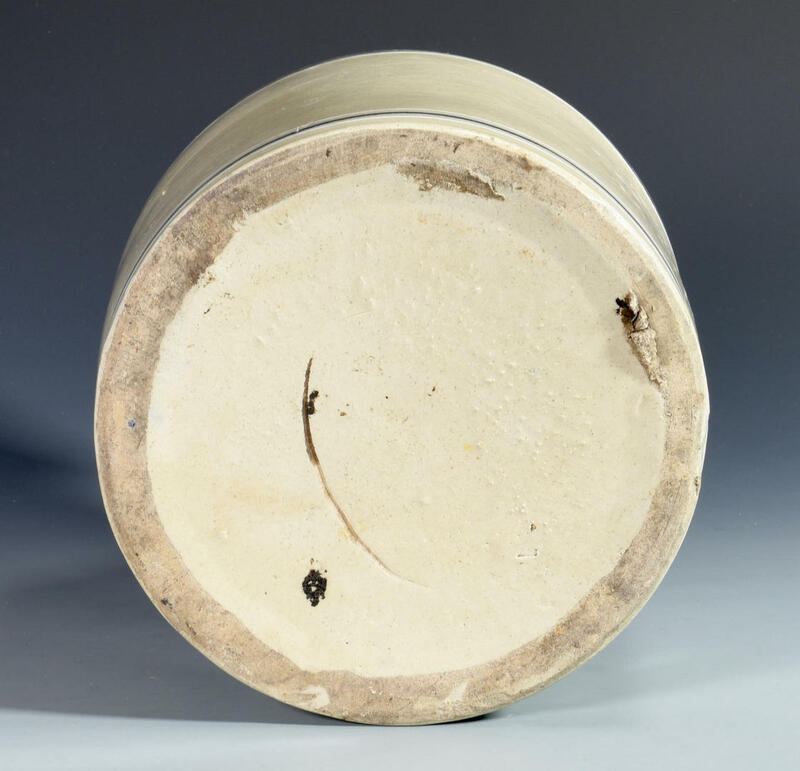 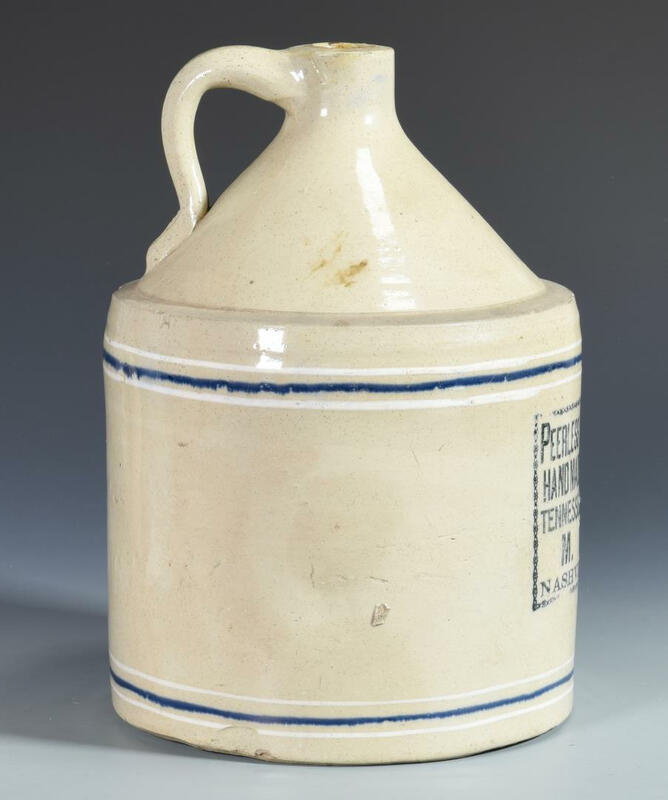 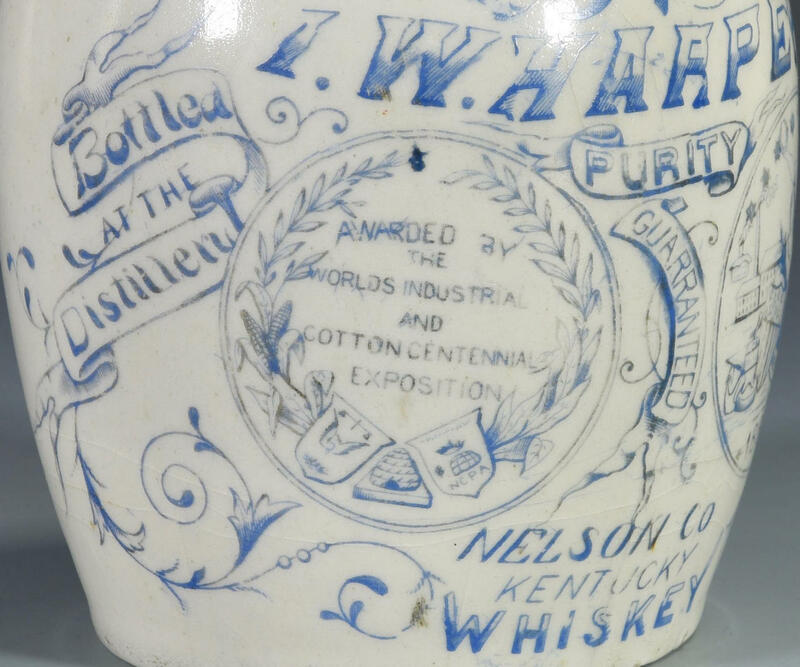 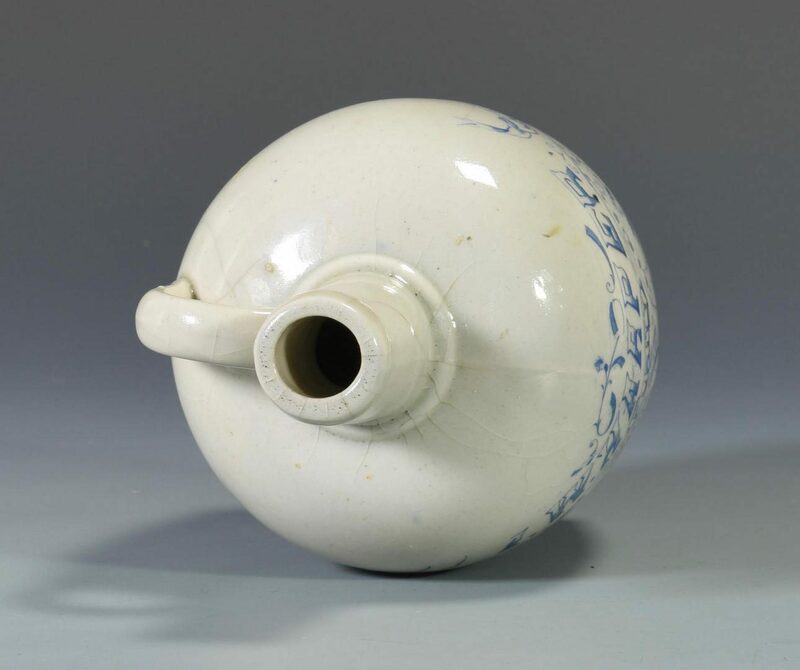 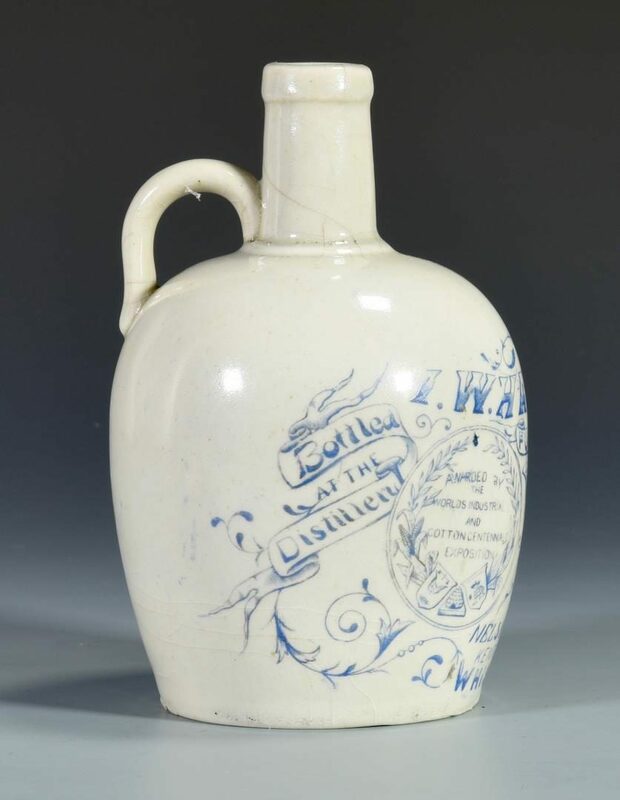 1st item: I. W. Harper, Nelson Co., Kentucky stoneware commemorative whiskey advertising jug from the 1885 World_s Industrial and Cotton Exposition in New Orleans having cobalt stenciled lettering and seals. 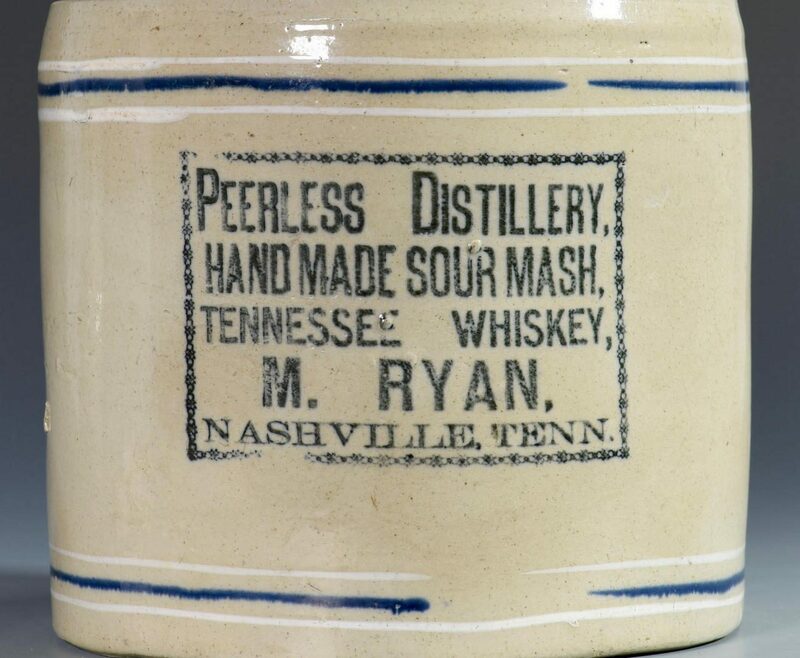 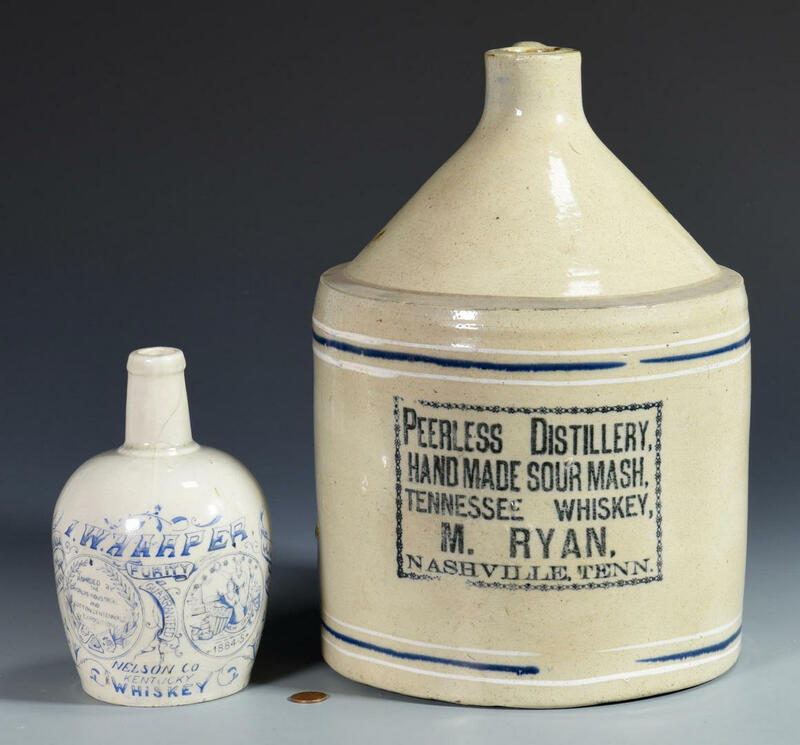 7" H. 2nd item: Middle Tennessee advertising whiskey jug, Peerless Distillery, with cobalt stenciled lettering reading "Peerless Distillery / Hand Made Sour Mash / Tennessee Whiskey / M. Ryan, / Nashville, Tenn" within a cobalt border with cobalt and white slip stenciled lines around the top and lower body, 1 gallon capacity. 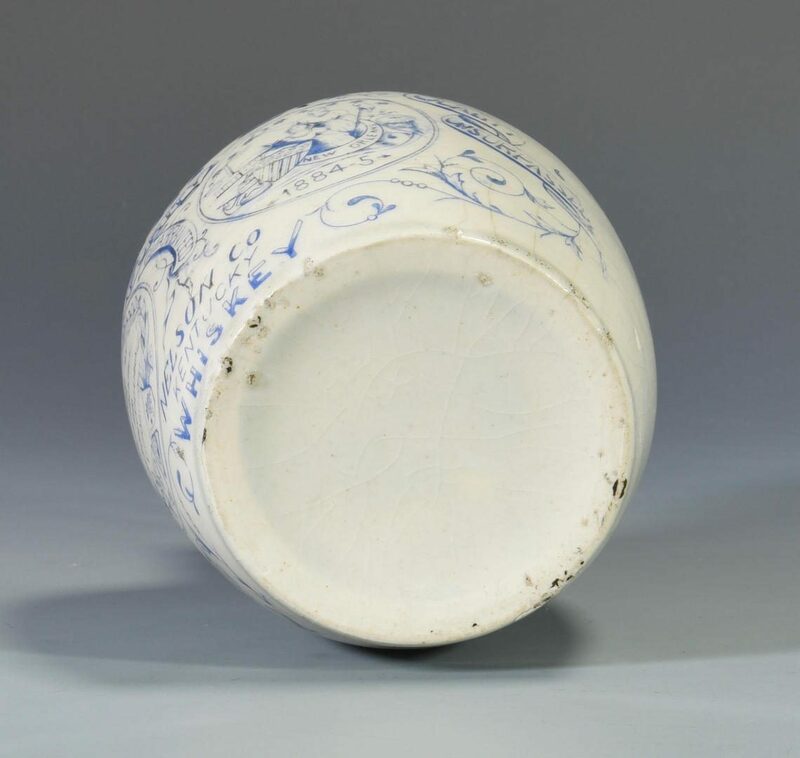 13" H. Estate of J.D. and Jane Vandercook, Hendersonville, TN. CONDITION: 1st item: Overall crazing, otherwise very good condition. 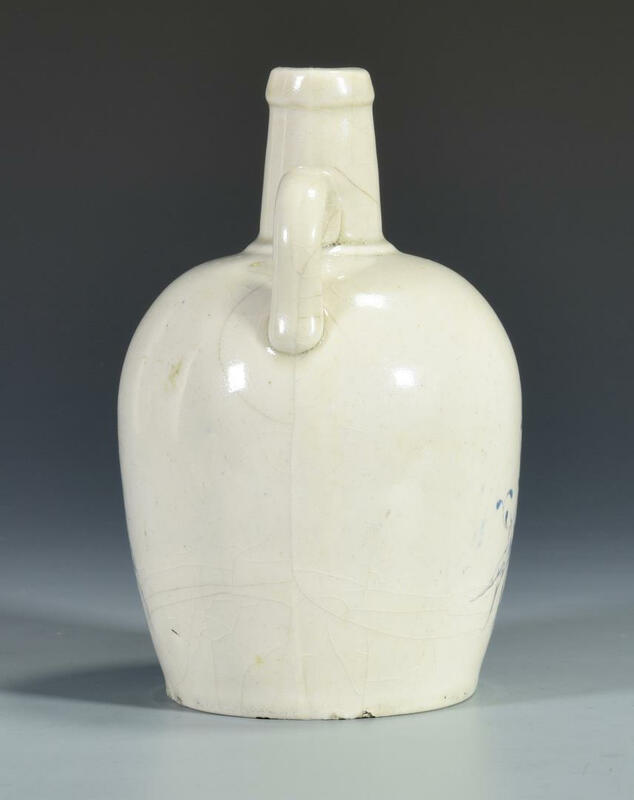 2nd light: Some very minor chipping to shoulder, otherwise overall very good condition.